I've been attempting to do doing research on Sauk County Wisconsin for a Wondertainment/Factory/AWCY SCP. It is a 001 (don't scold me for trying that) which is why I'm doing such extensive research. You're probably thinking "just use Google" but, surprisingly, Google isn't much help. If anyone knows more about factories and or businesses in Sauk County, or better yet, are living in Sauk County and can help me with geography, that would be great. Thanks in advance. Google Maps is a good geography resource. But I think that we're going to need you to be more specific than just "factories and businesses". Specifically, I don't know what factories and businesses you want to know about. If you just want to know about factories and businesses in general, then you can just put a keyword into the Maps searchbar. Sorry I couldn't be more helpful. It's alright, thanks for the help you could provide. There's also the Chamber of Commerce website for the largest city there, it has a listing for businesses. Edit: County historical society… I'm not really sure what else I can do for you without more specifics. I'm not from Wisconsin. Thank you for your help. All help is appreciated. The Badger Ammunition Plant, which is closed down now, but if you look it up on Google Maps you can see it took up a pretty big area. Dr. Evermor's Forevertron, which would make a good SCP on its own. Also located right next to the ammunition plant. Honestly, there's a LOT of locations in Wisconsin Dells that could be ideas for SCPs, if not being one themselves. 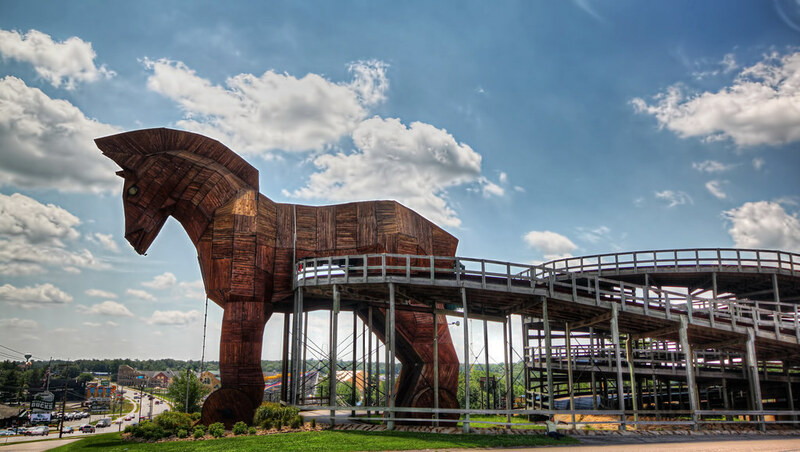 Also, fun fact, the track that loops around and goes through the horse itself is now closed off (not sure the actual reason), but making an SCP-related story as to why it was could be a possibility. There are a few places around there that do "Duck Tours", a trained driver gives tours of the Dells in the mighty 2 1/2 ton, WW2 amphibious DUKW. Could make one about a mystery driver, or mystery Duck that isn't affiliated with any of the facilities that deploy them that drives around with an unknown group of people.